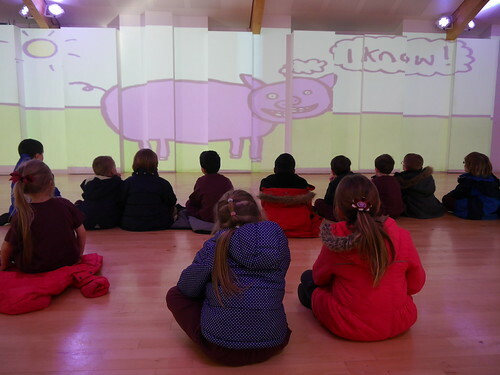 As part of our new build we aimed not only to have a new dining facility but also to be as creative as possible in using the space as a learning environment. 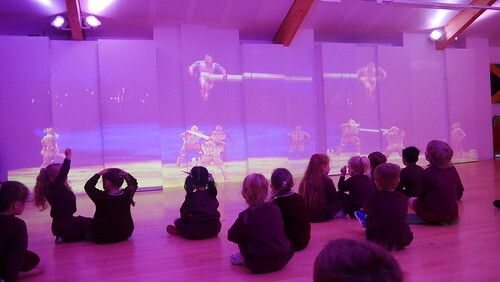 Therefore, we commisioned a local, yet world known sound, light and visual solutions company called Adlib to create our vision.They embraced of remit and created a state of the art yet extremely simple to use technology system that allows us to quickly set the mood and provide a creative environment to engage our pupils in learning and link effortlessly to our new challenge curriculum. 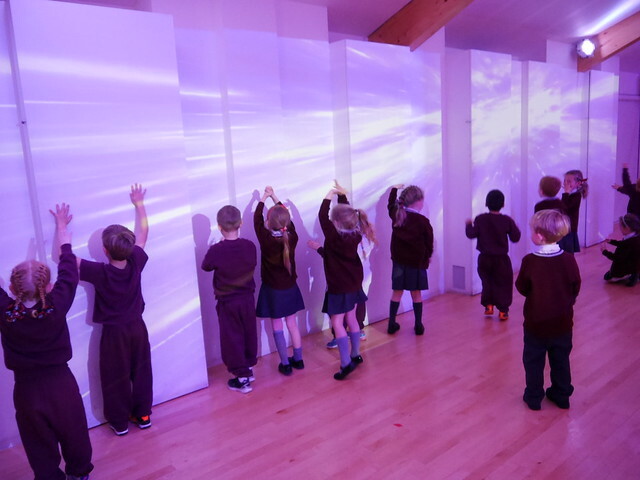 Research shows that engaging pupils positivity can increase interest and attitudes to learning, raise attainment and deepen knowledge and understanding of complex topics through interactive, experiential learning. 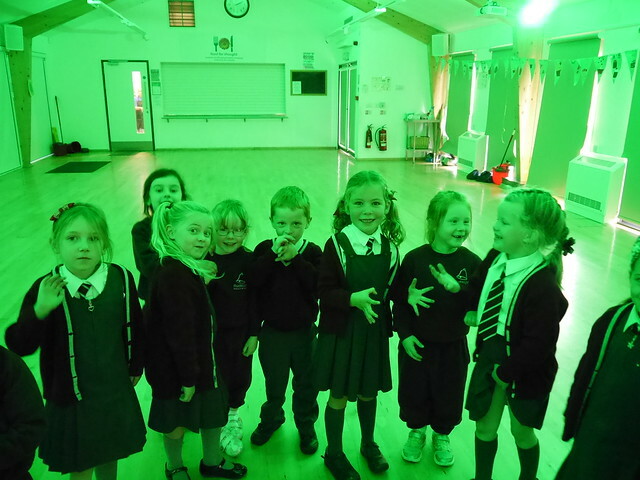 Inspired by the ‘Inside Out’ film, Year One have been discussing when they feel anger, fear, sadness, joy and disgust. 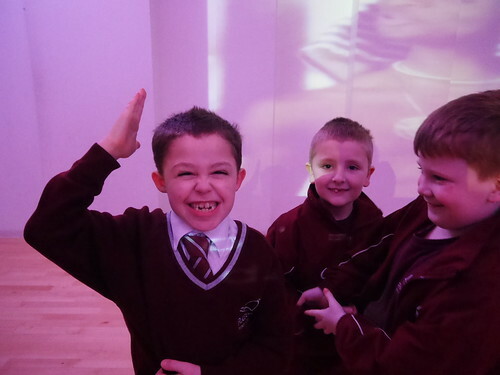 Year One have been discussing mixed emotions – when do you feel excited and scared at the same time? 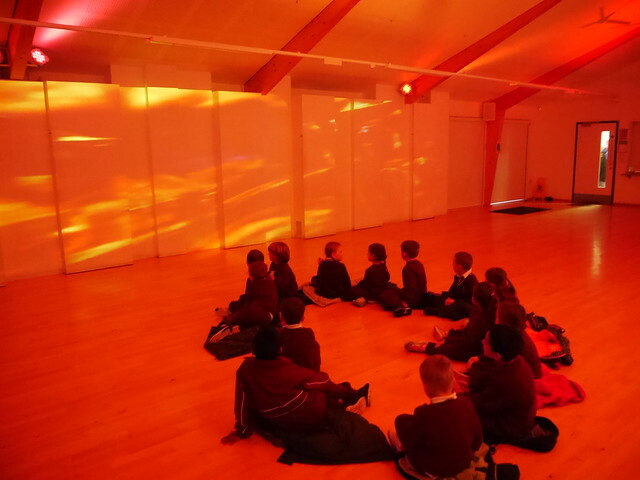 Year One have been investigating what the Art of Being Brilliant is really about. Who inspires you to Dream, Believe, Achieve? 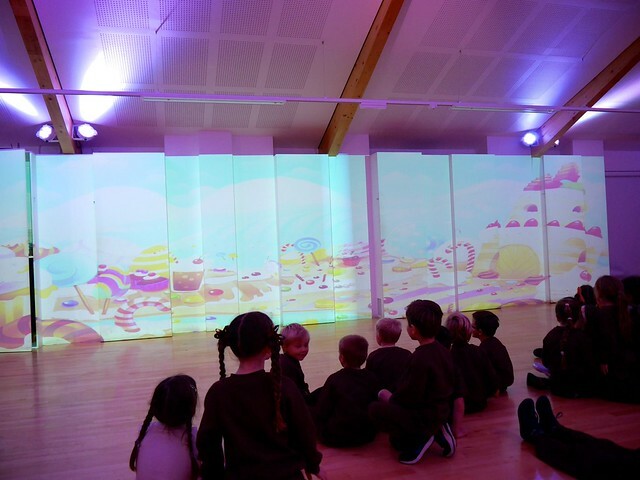 Year Two have been playing barrier games – on a grand scale! Can you partner guess what you are looking at by your description? And, of course, we couldn’t miss the opportunity to make shadow puppets! 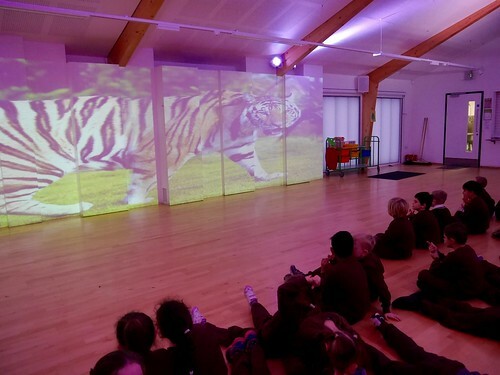 This half-term, Year Two having been asking themselves ‘What is your Deadly 6?’ Well, Mr Soanes showed Year Two his Deadly Six – and invited them to describe each deadly animal to their partner. Year Three have been testing their amateur dramatics in the ILS. Can you guess which member of Ancient Egyptian society they are are portraying? Or guess which god their have performed their songs about? 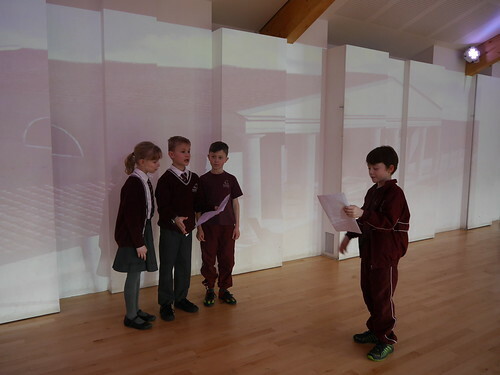 To help answer their Learning Challenge question ‘Were the Romans really rotten?’, Year Four visited the Immersive Learning Suite to act out Emperor Claudius’ invasion of Britain! 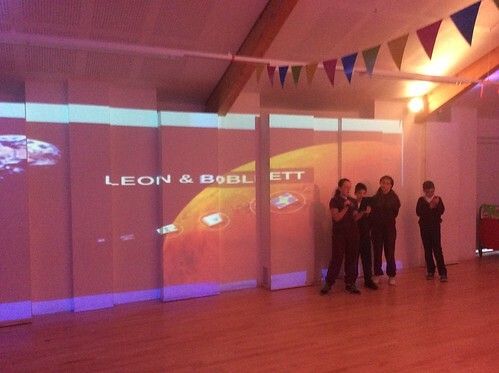 Year Six not only wrote stories inspired by Leon and the Place Between, they told them to an audience using the Immersive Learning Suite to jump right into the narrative.